In 2019 Mill Bay are looking forward to welcoming customers to their exciting new developments at Oak Grove, New Hedges and Maes Rheithordy, Cilgerran, offering a wide range of property types and customisation options to help dream homes become achievable realities. 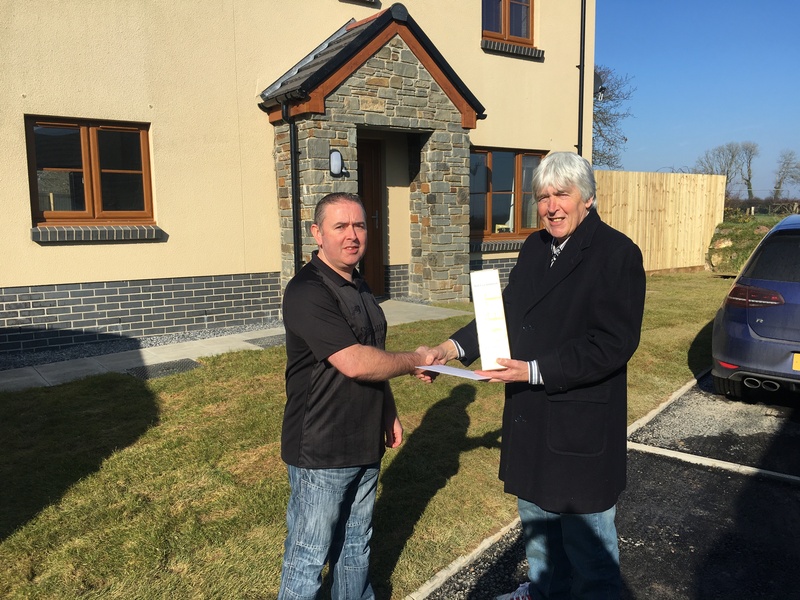 From 30th March, the show home at Cilgerran will be open ready to show off the benefits of owning a new build. 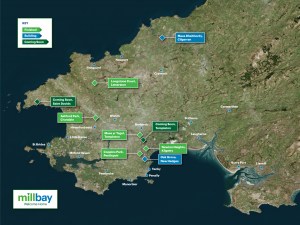 Mill Bay Homes have acquired land in the popular rural village of Templeton and the prestigious City of St Davids and are looking forward to expediting these sites for development in the near future. A large number of enquiries have been registered to date across both schemes, so it’s recommended that interest is expressed early to avoid missing out. Over the last 5 years, Mill Bay has worked tirelessly to develop a sound and stable reputation amongst local communities in Pembrokeshire. Successfully completed developments (referenced on the map) can be seen in Letterston, Pentlepoir, Templeton, Crundale and Kilgetty. Enhancing existing communities is the forerunner to Mill Bays success, and with home styles to suit all needs, it’s no wonder buyers range from First timers through to those retiring. Worried affordability might be an issue? All Mill Bay schemes are able to offer the Welsh Government’s assisted purchases schemes: ‘Help to Buy Wales’ and ‘Shared Ownership Wales’ which make purchasing your new build home a lot more affordable than you might think.